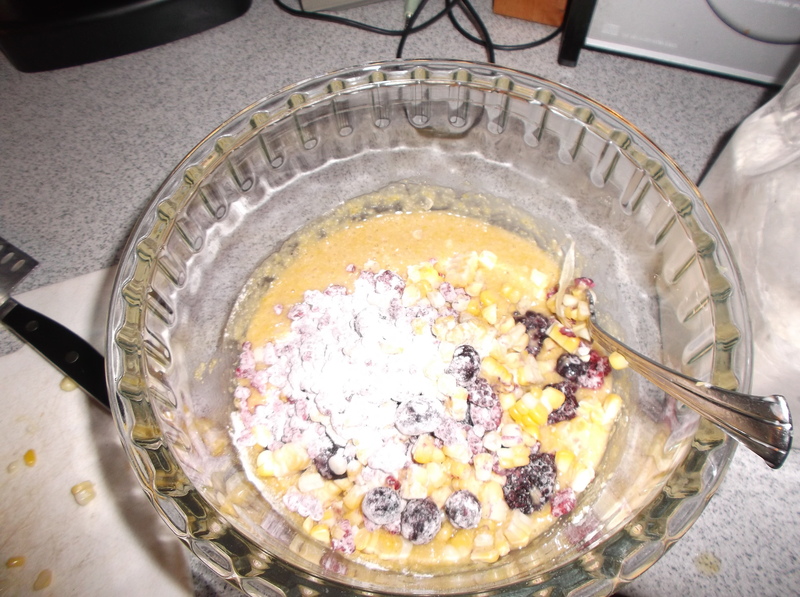 What do you do with leftover corn? 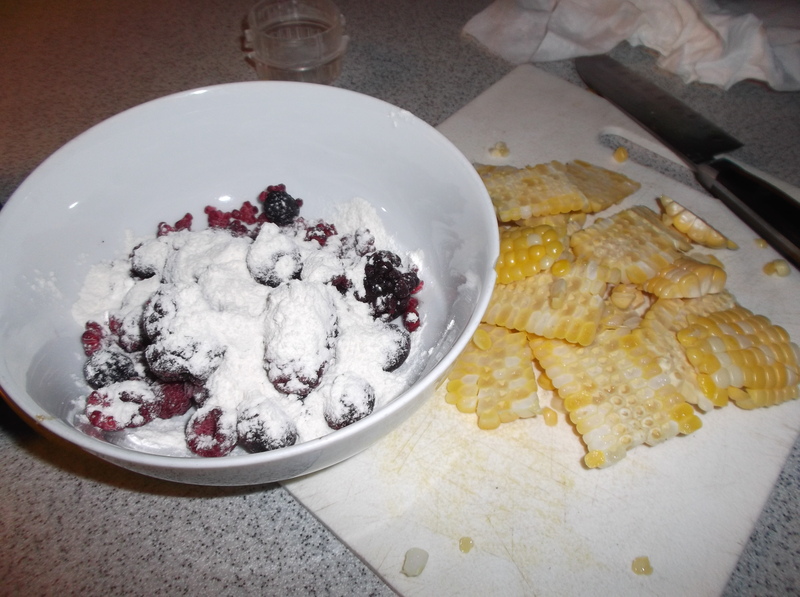 I already had some black bean corn salsa, and really wasn’t in the mood to make tacos or another corn salad, hence, the midnight train to corn cake. I was thinking about how much I love brown sugar in cornbread and thought it would be the most delicious breakfast to have a moist sweet corn muffin with my coffee. Only wish I would have thought of this before 10:45 on Sunday night. I’m still not 100% sure how I feel about this cake, but I think it’s because I didn’t cook it quite long enough. 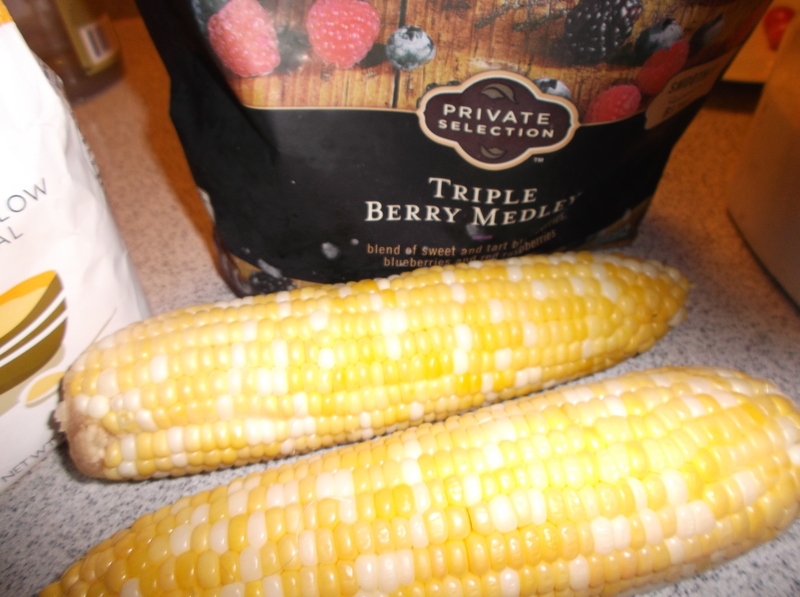 I know corn might not be everyone’s cup of tea in a sweet cake, but you know, I seriously miss the corn cookie I had at Milk Bar in New York and am SOOOO eager to make Jill Donenfeld’s corn ice cream with blueberries and cinnamon. This sufficed for now! 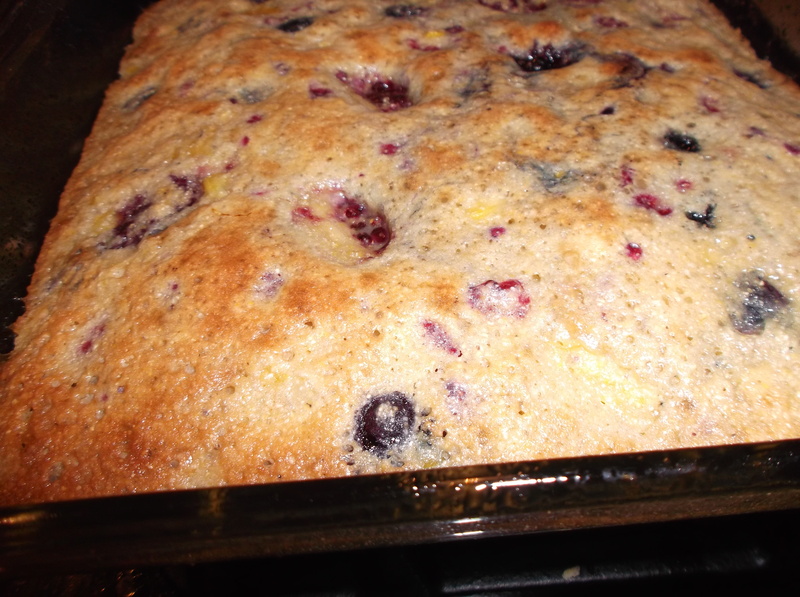 Thank you NaturallyElla for this Blueberry Maple Corn Cake recipe, slightly adapted with frozen mixed berries instead of blueberries and one ear of corn added. In this case, I actually did have walnut oil. I must say I was very surprised at the delicious mix of flavors (omg I almost wrote infusion of flavors, who am I?) 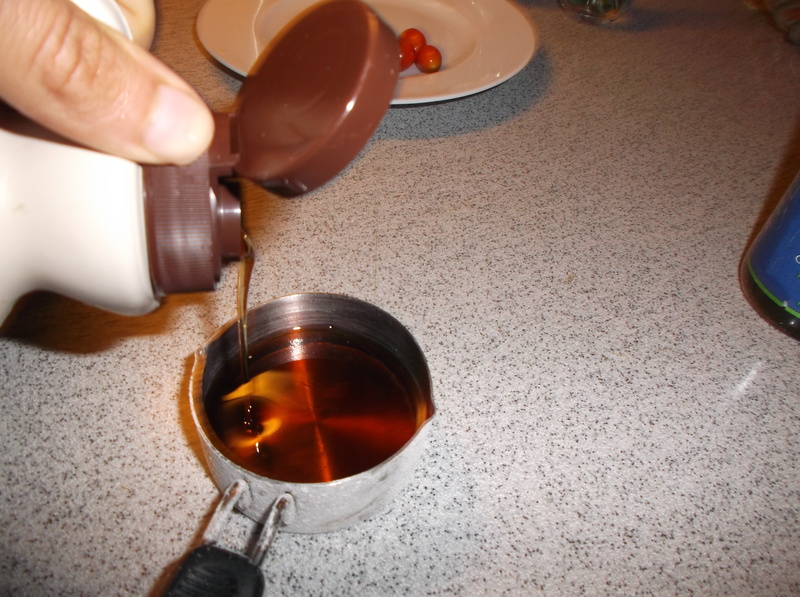 of cornmeal, walnut oil, and maple syrup. The cake already has two eggs that add moisture, but the walnut oil left no room for drying out. I think I also thought I could get away with late-night baking on a weeknight because I’m now a toaster-oven-baker. 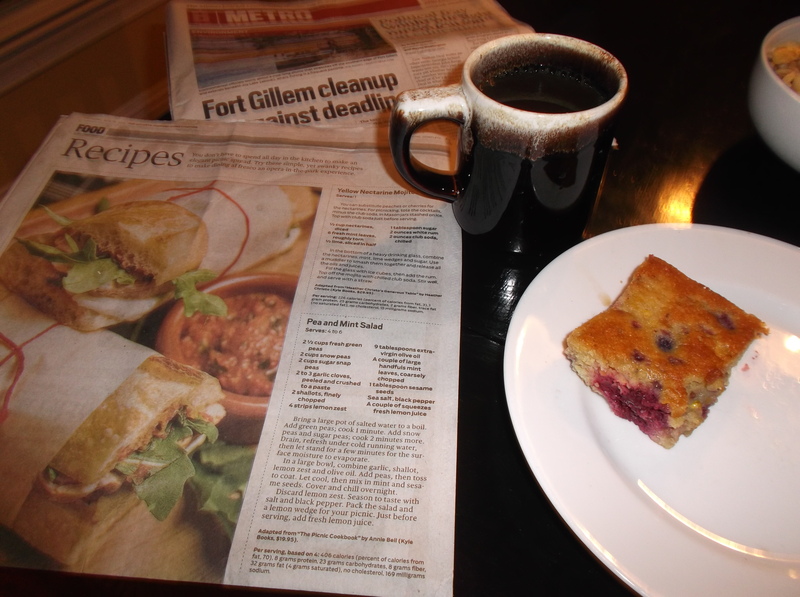 It’s so small I feel like I’m using an Easy-bake!… A broken oven is no reason to stop baking.